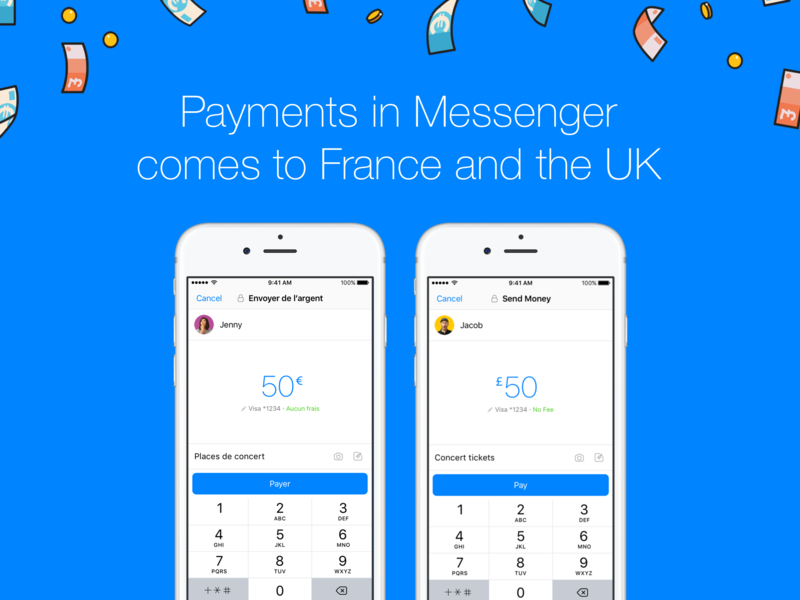 Facebook Messenger users in the United States have been able to send money to each other from within the app for quite some time, and that same functionality is now finally making its way to other territories. If you're lucky enough to live in the UK or France, the Send Money feature should be available to you soon, rolling out over the next few weeks. As with any payment through bank accounts in each country, it may take up to 3 business days for the funds to become available to the recipient. Rest assured that all card details entered into the app are encrypted and "protected with bank-level security." There's no additional authorization needed once you're signed in, so you may want to be extra careful about leaving your phone or computer unlocked around mischievous friends and relatives. M, Facebook Messenger's built-in AI assistant, will be able to understand when you're talking about money and offer you the payment option before you've even thought about it, which is only slightly terrifying. "It’s not just the transactional act of paying someone back, it’s the emotional importance of doing so. Reciprocity fosters happiness and builds trust."